Today I wanted to share with you all of the beautiful images I got to capture of my beautiful spokesmodel team for our styled shoot! Now you will see three girls that you will not recognize if you know who is on my 2018 team and let me explain. Sadly only one of the girls on the 2018 team was able to make it to the shoot so I asked two beautiful young women from my church who will be 2019 seniors to step in and model for me! I also asked my youngest sister-in-law because let's just face it she is too stunning not to get in front of my camera! So since three of my girls couldn't make it one of them asked me to come to her house to do a mini styled shoot and I was so excited that she still wanted to take some photos even though she couldn't be there the day of! So today I just want to share with you all of the photos and introduce each girl to you so that you can get to know their beautiful faces! Each of them are so beautiful inside and out and before we started the styled shoot I wanted to share a devotional with them that was about beauty and where it truly lives. I wanted each of them to know that even though they were getting all glammed up they are more beautiful just the way they are! They don't need the makeup to be beautiful. I didn't want them comparing themselves to one another either because they are one of a kind and that is the most beautiful thing! So without further ado lets get to know each of these beautiful young women! The first beautiful young woman I want to introduce you to is one of the girls on my 2018 team, Cheyenne! I met her through church three years ago and just immediately connected with her! She was so fun, outgoing, and just had a laugh that lit up the room! She is one of the most hardworking people I have ever met! She has always put her education above anything else and pushes to achieve her goals. She works on the yearbook for Volcano Vista High School and just recently won first place at the State competition of the Technology Student Association in photography (you can see why I am so proud hahaha). After she graduates she plans to attend Central New Mexico Community College to start her journey towards becoming a forensic photographer for the FBI! She is so confidant and beautiful and I know that she is going to go far and I cant believe I am blessed enough to have a front row seat to see it all! Next is Elena! She is my sister-in-law and she is goofiest, loving, hardworking person I have ever met. I met her when she was very young at the time when I was helping her mom (my now mother-in-law) teach a sign language class at our homeschool coop. We reconnected almost three years ago when she was in my small group at Sagebrush Church and that is where I met her brother who a year and a half later became my husband. As a country girl trapped in the city her love lyes with horses. Her love first began when she started equestrian vaulting five years ago. For those of you who don't know what equestrian vaulting is..... its gymnastics on the back of a moving horse!!!! WHAT?!?! I know its insane but she is amazing at it and that's where her love for horses started! She plans to attend either Texas Tech or Colorado State University in the fall to major in biomedical engineering and then go to vet school with an emphasis in equine science! Her dream is to figure out how to build prosthetic limbs for horses! How cool is that! I am so bless to be able to call her my sister and I cant wait to see where God is going to take her I know she is going to do amazing things! Bailey is just a ray of sunshine! I met her a year ago through my church but just only recently started getting close to her! She is one of the most outgoing happy people I think I have ever met and can just make everyone's day better by walking into a room! 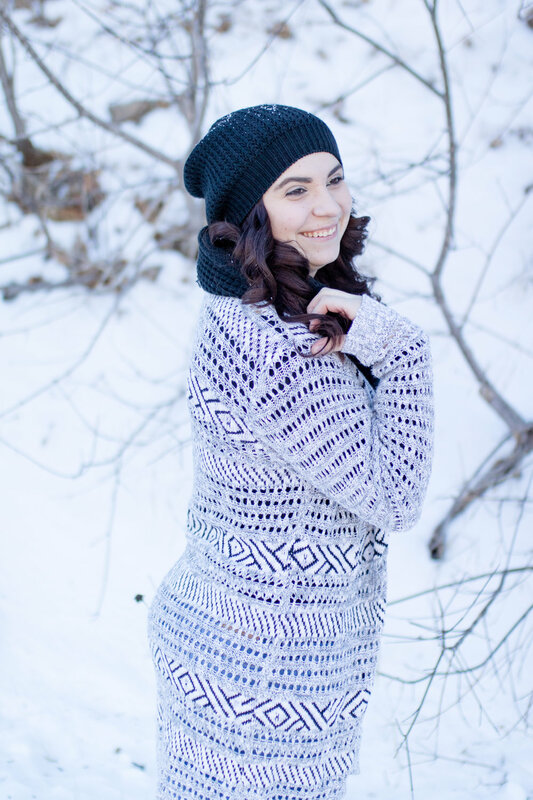 She is a 2019 senior who loves action with Heat Strings Theater Company and Encore Theater. She has played many amazing roles such as Nanny in Peter Pan, The sheriff's wife in Robin Hood and many other! I always love seeing her on stage and I can't wait to see who she will be cast as for The Lion King this summer! She is going to do amazing things her senior year and I cant wait to see it all happen! Julia is shyer and reserved around people she doesn't know that well but once you are blessed enough to know her she is one of the kindest and sassiest girls I know! She has a beautiful singing voice and is a very talented actress! She has performed in the same companies as Bailey and many more! She has played many big roles such as Dorty in the Wizard of Oz, Lady Marion in Robin Hood, Beth in Little Women, and many many more! I always love seeing her on stage because that is where you see her beauty and love for theater shine! I can not wait to see who she will play in The Lion King this summer and I am so blessed to be able to know her and be able to see where God is going to take her during her senior year and for the rest of her life! Last but not least is my beautiful sister-in-law Lilly! Now when you see the photos of her do not be fooled she is not 21 she is only 15 years old! I know crazy! She is only a freshman this year but I never hesitate to get her in front of my camera. She has so many different talents it blows my mind! She is a professionally trained model, a singer, an actress, know Jappanees and is learning Korean, a dancer, and one the top shooters on her Junior ROTC marksmenship team (as a freshman)! I could go on and on but she is just so beautiful inside and out. Ever since I started dating my husband I have called her my ball of sunshine bcause she can light up my darkest days by just walking into a room! I can't wait to see where God is going to take her not only for the rest of high school but for the rest of her life! I am so blessed to have a front-row seat not just as a friend but as her sister! I hope that you all enjoy this post and that this helps you decide if you want to be apart of my 2019 team! Applications will be closing May 10'th so be sure to apply before it's too late! Thank you to Caitlyn Richey, and Kierstyn Robbs for helping with hair and makeup and my amazing sister Sarah Ash for filming a behind the scenes video! I hope you all have an amazing day and a fantasic rest of your school years! One of the many perks of being a Divine Senior Spokesmodel is the opportunity to model for many styled shoots that I do throughout the year. I have done many shoots with my beautiful spokesmodels. I have done some for fun and some for a magazine called Young Blood Melanie Magazine. I love to do styled shoots because it is a fun way to do something different with no pressure and no stress on me or my models. I wanted to show you all the different styled shoots I have done to give you an idea of what you can expect if you are chosen to be a model during your senior year. Labels. I came up with the concept for this shoot because I have been bullied most of my life and have had negative labels place on me that kept me from being my best me. So this shoot was to show it doesn't matter what the world thinks of us just what God and the people who truly love us think about us. The Five Queens. I wanted to write a short story to go along with each queen because I love fantasy stories and I thought this would be a fun shoot to do because I wanted to show each of the models that they are all queens no matter what the world says of them. Each of the queens could control an element. The queen in the blue dress is the queen of water, the black queen was the queen is the queen of death and destruction, the green queen is the queen of life, the queen in red is the queen of fire and the white queen is the queen of ice. If you would like to read their stories you can scroll down to my very first posts. Cowboy and Angel. In this set of photos is one of my 2018 Spokesmodels and also my sister-in-law. Elena and her boyfriend Justyn (also pictured) love the song Cowboys and Angels by Dustin Lynch so I decided to bring that song to life in this shoot. Our Inner Demons. This shoot was something personal for me because I struggle with all of the emotions that are pictured. This shoot was to show how all of us struggle internally with dark imperfect things that we try to keep covered up with a bright perfect exterior. The dark emotions that I wanted to portray are fear, depression, and anger. These are all emotions that I keep hidden from the world sometimes. Timeless. I did this shoot with a friend who is so beautiful and strong and reminded me of Audrey Hepburn who is thought of as a timeless woman. Audrey Hepburn was such a kind woman and didn't believe in putting other women down to make herself better. She was modest and didn't believe that our exterior beauty mattered. My Favorite quote from her is "The beauty of a woman is not in the clothes she wears, the figure she carries, or the way she combs her hair. The beauty of a woman is seen in her eyes, because that is the doorway to her heart, the place where love resides. True beauty in a woman is in her soul. It is the caring that she lovingly gives, the passion that she shows. And the beauty of a woman only grows with passing years." I believe that she is truly timeless and I strive to be more like her. Warriors. This shoot was one that I had wanted to do for a long time, I have always loved the idea of taking fictional characters that are normally calm and non-aggressive and turning them into warriors. I love what a warrior stands for, what they do to protect their people, and how they look. In this shoot, I took different looks from different cultures to make the costumes, create the war paint, hairstyles, makeup and chose the weapons for each girl. This shoot was even for fun because the location I decided on was covered in snow! It made everything so much for fun and added a very cool element to the shoot. This was a very different shoot for the models because instead of smiling they had to be very straight-faced and ferocious. They had to pretend that they were fighting for their lives and that they were worn with battle scars. Each of these shoots have been so much fun to work on and have been ways for the spokesmodel team to break out of their normal lives and have a chance to be someone else and have fun. I can't wait to see all of the styled shoots that I will be able to do with the 2019 team. If modeling is something you love than this is the perfect program for you because you will be able to model for many shoots throughout your senior year! So make sure you head over to the Divine Seniors tab of this website and click the Spokesmodel application and apply for the team! I can't wait to see who will be on the team this year! THE PARTY IS ON INSTAGRAM SO FOLLOW ALONG! Good afternoon 2019 seniors! Today I bring you another post to help give you all the information you need before you apply to be apart of this amazing team! Last week I told you about all of the amazing perks and prizes you get and this week I am writing this post to tell you all about the requirements to be apart of the team. I know this isn't the fun part about being on the team but it is information that you all need to know so that you can see if this team is the right fit for you and your senior year. Just like last week, I will list out all of the requirements and so that you can read each one clearly and see if this team will be a good fit for you! Refer multiple people including friends and family. Publish behind-the-scenes shots and social media sneak peeks on all social media outlets the photographer has referenced in the initial questionnaire, including but not limited to, Facebook, Twitter, and Instagram. These posts will include the hashtag #divinecreationscapturedbymaggie #divinesenior #divinesenior2018 #2018divineseniorspokesmodel #divineseniorspokesmodel and will encourage followers/friends to book the photographer. A minimum of 2-3 posts is required each month. As you can see the requirements to be on the are fewer than the perks and rewards you receive. The rules and requirements are never the fun part but now that we have them out of the way we can get to the fun part and have a total blast participating in styled shoots, contests, and parties that you will remember for the rest of your life! I can't wait to see who will be apart of my 2019 team! Good afternoon 2019 Seniors! You are almost done with your junior year of high school so it is time to start thinking about your senior photos! I wanted to expand on the details of my Divine Senior Spokesmodel program so that you have a better understanding if you are thinking about applying! This is an amazing program for you to be a part of because you get to have so much fun with the team your senior year and you are able to use this program on your college and job applications! Today's post is all about the incentives to be a Divine Senior Spokesmodel and trust me there is a lot of them! I will have all of them listed below! Attendance at the meet and greet event, team shoots, Christmas party, and cap and gown session with the whole team. One complimentary mini session with complimentary hair and makeup though professional hair and makeup artists. Session to include 30-45 minutes of shooting and 1-2 outfit changes with a full gallery of 50+ high-resolution digital images from the shoot. For every referral, the senior representative receives an 8X10 print of their choice. This senior Portrait includes 1-2 hours of shooting, 50+ fully edited images, and online gallery. A Referral is defined as a senior portrait session booked with signed contract and retainer. Weddings, families, and mini sessions booked on referrals will also count towards prints. The senior representative shall participate in at least one styled shoot throughout the duration of the program and will receive digital files from the shoot. The senior graduate representative shall receive a blog feature showcasing their full senior portrait session. This blog feature shall be published on the Divine creations captured by Maggie blog. The opportunity to model for multiple events, workshops and additional styled shoots throughout the year. The opportunity to win additional prizes, cash, gift cards, photoshoots and more throughout the year as additional incentives. The ability to learn photography from Maggie if they wish. The ability to receive admin experience. Letter of recommendation to colleges or future jobs. This program is an amazing thing to be apart of for your senior year and I hope that all of these incentives will help you make the decision to be apart of my 2019 Divine Senior Spokesmodel Team! Today I wanted to create this blog post to give any 2019 seniors and their parent's information about my Divine Senior Spokesmodel Team. Below you will find all the information on the requirements, perks, and prices for the program. I hope this blog post helps you with applying to the program and I hope to have you on my 2019 team! Being a Divine Senior Spokesmodel means that you have to opportunity to be the face of Divine Seniors! As a spokesmodel, you will receive countless perks; such as a gift card for referring other seniors, free prints, extra sessions, the chance to be a model for shots that will be featured in magazines, a meet and greet party, a Christmas party, having the oprotuinty to put this program on collage and job applications and many more things! I am so excited to kick off my second year of having a senior spokesmodel program! Attend meet and greet event on Sunday, June 3rd, 2018. Participate in mini sessions with the whole team on Saturday, July 28th, 2018. Post on social media(tag Divine Creations Captured by Maggie social media page) frequently about what it's like to be a Divine Senior Spokesmodel. Book your senior session with Maggie for $180, $250, $360 (This is the price of a senior session and the only fee that will be required during the program). Notify parents of their application. Your parent will be contacted first if you are chosen to be apart of the program, so please be sure that they know you are applying! If you are interested in joining the team fill out the information below! Spokesmodels will be chosen Friday, May 25th, 2018. Photos for our Christmas party were taken by Hanna Williams of The Overflow Brand.